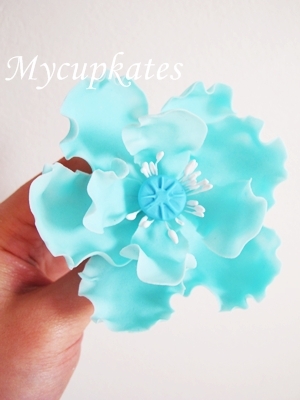 Find my sky blue poppy flower..
beautiful hand made flowers give cakes extra wow facts. 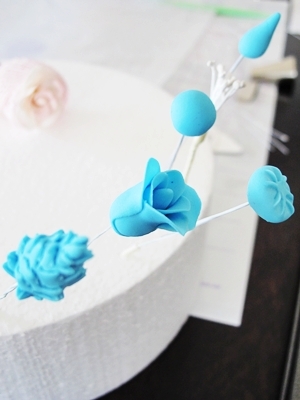 I've been learning about making giant sugar flowers at Planet cake. I've been making peony, magnolia, dog rose and poppy. I've repeated what I've learned at home every week. I am supposed to learn combining all elements together next week.. However, I couldn't help myself wanting to see my finished products...at least one. I decided to complete the poppy..
All elements I made at home were smaller than ones from the class. I can say.. medium size.. 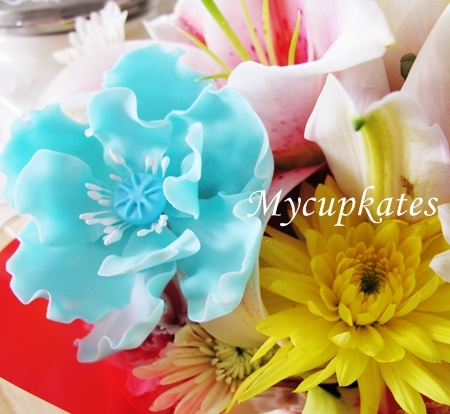 I used left over sugar paste from the class.. 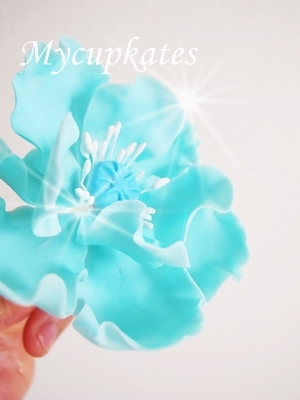 I've used cutters or made samples for petals. 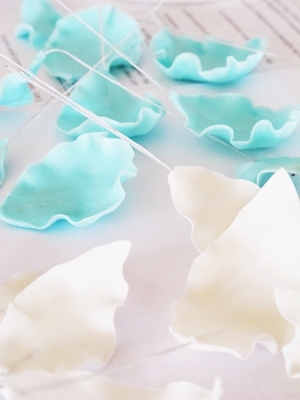 rolling each petals to make them thin & natural as well. This is my medium version of poppy. 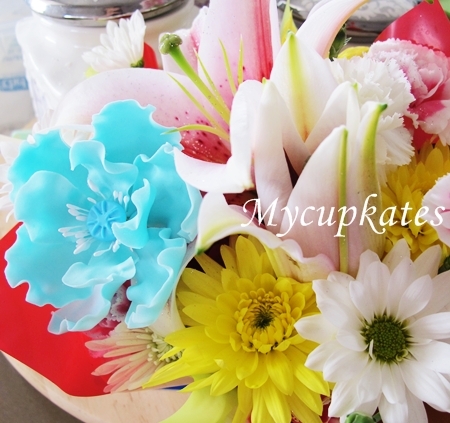 I'll post more of my giant sugar flowers soon.